Thomas H. Leeper, 83, of Lancaster, passed away on Thursday, January 25, 2018. 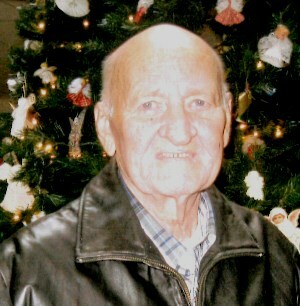 He was the loving husband of the late Mary Ann (Reichenbach) Leeper. Born in Cornwall, PA, he was the son of the late John and Daisy (Sweeney) Leeper. After proudly serving in the US Army, Tom worked 43 years for Raymark in Manheim. He was a member of First United Methodist Church in Lancaster. Tom always wanted to have fun and invite laughter. He enjoyed hunting, woodworking, watching Fox News and spending time with his family. His final words, “I love you all,” characterize the man he was. He is survived by two children; a daughter, Kimberly A. Friedel (wife of Dave) and a son, Rev. Kerry Leeper (husband of Michell), both of Lancaster; two grandchildren, Rebecca and Josh Sears; and 3 brothers. He was preceded in death by 10 siblings. Sending prayers to you and your family. He will be missed. Thoughts and prayers are with you, Kerry and Michell and the rest of the Leeper family. Thinking of you, with love and hugs, Kerry, Michell and all your family. Have fond memories of Tom making his joyful noise with us in Contemporary Service! May he Rest In Peace. God’s comfort and warm embrace be yours at this time. Blessings and love. So sorry for your loss. I know you are grateful for his life and blessed connection to yours. You and the rest of the family are in our prayers. Thinking of the Leeper family at this difficult time. We will remember all the good times at the Lexington Camp with Tom and Jack. The Weidler and Bletz Family.